This course is suitable for people who are working in industry and need to refresh and update their makeup skills. We keep our classes small in order to deliver the best possible learning experience. Class size 6 students max. Students will brush up on basic makeup corrective techniques and will learn what’s trending in makeup skills and products. Students will learn how to design a makeup to suit client’s features and colouring and how to work within a professional photographic studio environment. They will then follow health & safety legislation at all times and receive an accredited certificate at the end of the day. "Having been a beauty therapist for over 20 years I felt that I needed to update my skills and YOU School of makeup delivered. The course helped me to understand new techniques and styles and gave me the confidence to do more makeup treatments in the salon, worth every penny." The morning will comprise of a recap on the basics and then we will introduce new skills such as stencilling, contouring, strobing, brush and blending techniques, eyeliner work and evening makeup tips. Students will design and produce a digital mood board of a makeup that includes as many of the elements learned in the morning. 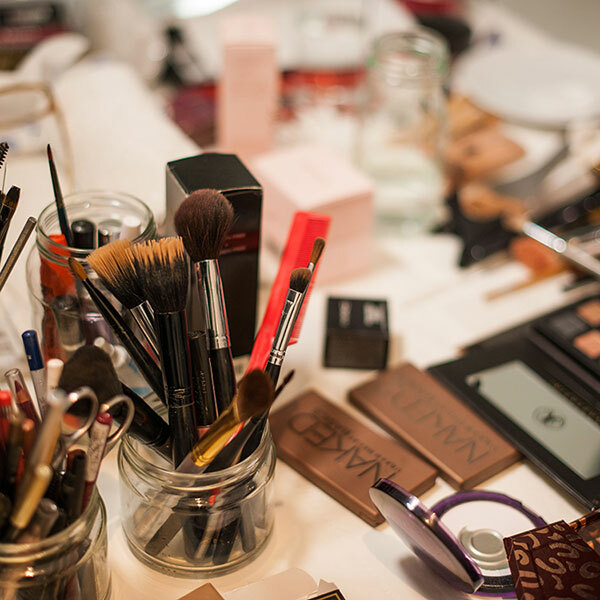 Students will prepare to practically produce their makeup design. Students will be assessed during this session and the day.